Thanksgiving is less than two weeks away. I must confess, it's my favorite holiday. There is just something about this time between the hustle of back-to-school and Halloween and the bustle of Christmas, that I love. I keep all my favorite Fall decorations up through the month of November, with pumpkins and gourds on my front porch. I don't decorate for Christmas until after Thanksgiving. I like the idea of getting together with family and friends for no other reason than to be thankful that we are all there together. There is no pressure for gifts or fancy food. We dress up a little in hopes of snapping a few family photos in the Fall splendor. I am also spoiled in that my mom still prepares a full, traditional Thanksgiving meal. She does an amazing job every year, and I simply love it. With all that said, I wanted to share some of my favorite Thanksgiving projects with you. There is still plenty of time for any (or all) of these projects. First off, is my Thankful Banner. 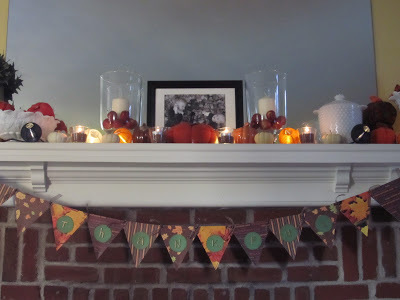 I put this up on my mantle the day after Halloween, and leave it up through Thanksgiving. 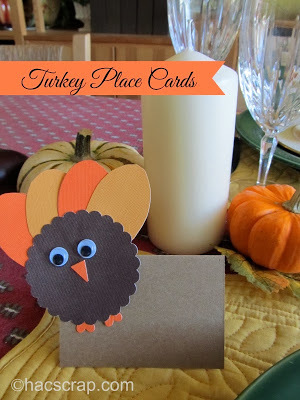 Another great decoration are these easy Turkey Place Cards. Even little kids can get in on the action and glue feathers and eyes on! My favorite project, is my Thanksgiving Gratitude Box. I bring it to my parents' house each year and we record thoughts on what we are thankful for that year. We also look through older ones and see how we've grown and changed. 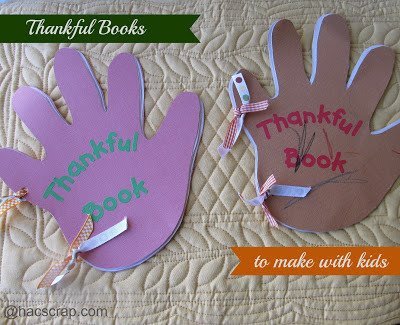 One of the most popular posts here on the blog, is for these cute and easy Thankful Books. I got the idea from an episode of Blue's Clues, and they were a big hit with my kiddos! There are so many fall and gratitude-themed things you can do between now and Thanksgiving with your family. Check out my Thanksgiving Pinterest Board for even more ideas and inspiration! 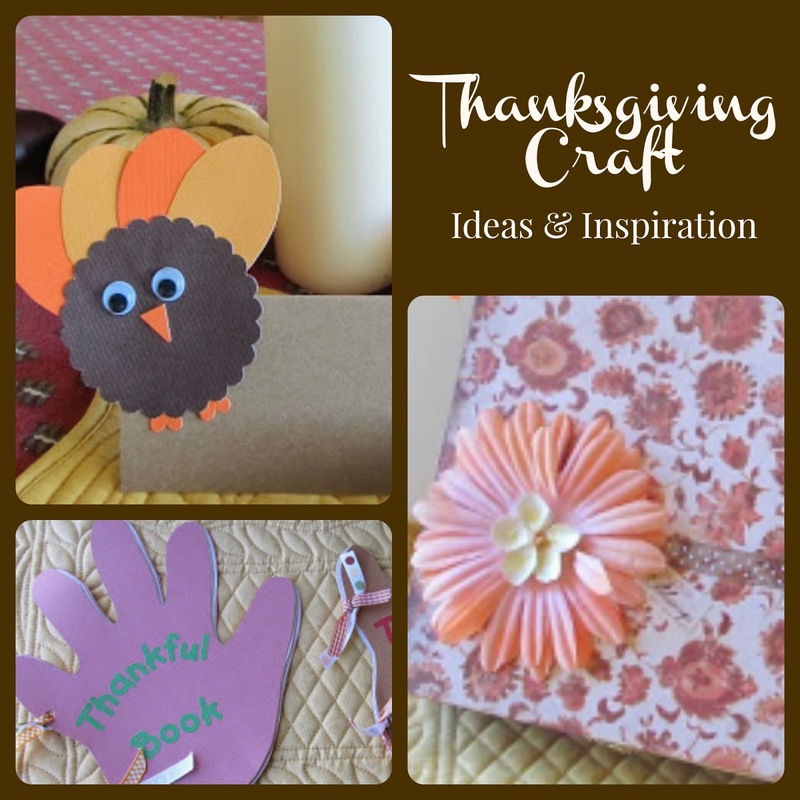 What are you crafting for Thanksgiving? I love the Thankful Book!! I remember when you posted it!! I'm a sucker for any crafts with the kids' handprints. But combine that with a book? Double whammy! Definitely making these with the kids this year. Thanks for sharing!